Multicultural resources from Asia, Africa & Europe! - Wide range of authentic multicultural resources in the form of outfits for children and dolls from around the world as well as dolls, puppets and celebration sets. Multicultural European, South Asian, Chinese, African dolls clothes and soft dolls and rag dolls range. The fourteen outfits are copies of ethnic costumes worn today in Asia and Africa. Our range of multicultural award winning cloth dolls, made to European standards, use polyester fibre filling. They are soft and warm and children quickly develop a rapport with them. Their soft bodies make it easy for them to be dressed and undressed unaided. Multicultural resources from Asia, Africa & Europe! - Wide range of authentic multicultural resources in the form of outfits for children and dolls from around the world & head-dresses: Indian Gandhi Cap, Turban, Arab Boy’s Kaffiyeh, Skull Cap, Girl’s Hijab and Bindis. Help disadvantaged young people in India through vocational training and fairly paid employment. •facilitate the understanding and appreciation of other cultures among young children in the West. Multicultural resources from Asia, Africa & Europe! - Dolls, Dress-up & Dolls Clothes! 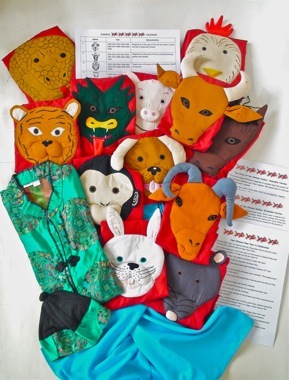 East-West Education (EWE) designs and produces a range of authentic multicultural resources in the form of outfits for children and dolls from around the world as well as dolls, puppets and celebration sets. They are invaluable resources in Early Years multicultural education by enriching role-play, story telling and festivals. In schools the outfits are effective and original materials for Social Studies, PSHE, RE and Citizenship classes. Designed by teachers for teachers, our products foster learning, promote inclusion and encourage creativity. EWE resources are made by marginalised young women in India who are given training in tailoring and life skills followed by fairly paid employment. We aim to have a lasting impact on the lives of the women who work with us. Combining education and training in the East and West, EWE creates a deeper sense of awareness of the world’s different peoples and our mutual dependence. Your views really do count so why not give us feedback? We'd really like to know what you think of our products. So when you receive your goods why not go to http://www.ewe.org.uk and click on "Add A Testimonial"? It's easy and if you'd prefer you can remain anonymous. We review all feedback and make every effort to take on board your advice.